Immerse yourself in the very popular Nordic Noir genre by taking part in a book club for all readers and co-hosted by the English honor society Sigma Tau Delta. 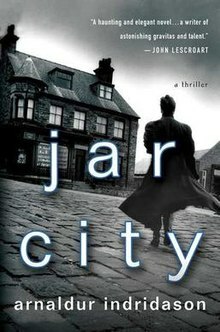 Pick up a copy of Jar City: A Reykjavík Thriller by Arnaldur Indridason in Webster Hall 337 (while supplies last) and join us on the fourth Wednesday of every month at 5:30 p.m. This book club is open and free to the public, and snacks will be provided.